Your Husband Just Called and Said You Can Buy ANYTHING! 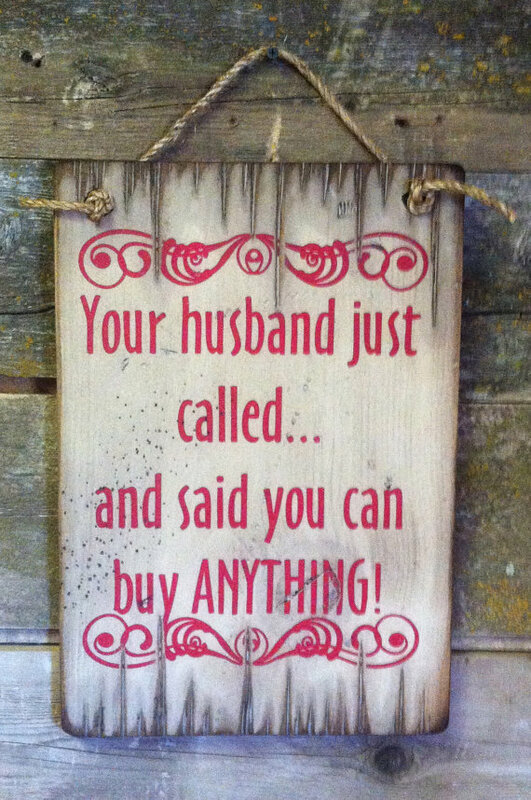 Your Husband Just Called and Said You Can Buy ANYTHING! 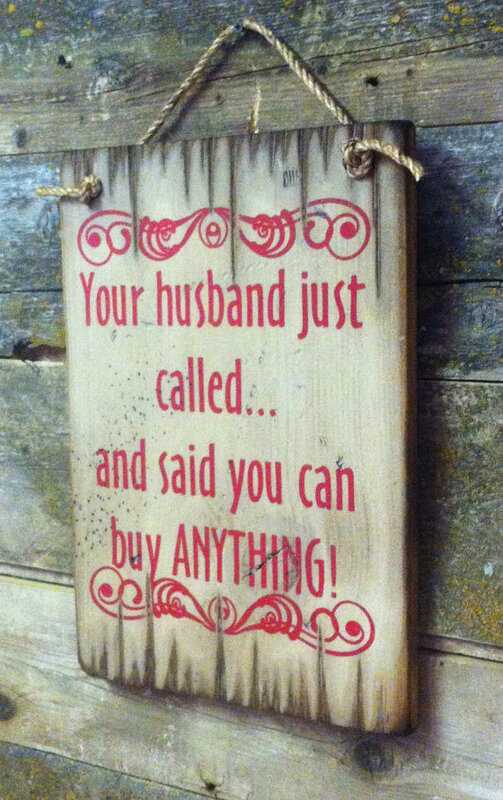 Hang this sign near your register to remind your customer that she can buy the whole store! This white background signs measures 11x16 and comes with the grass rope hanger or easy hanging. Handcrafted with pride! This product has been "stressed" to make it look antiqued and "old." 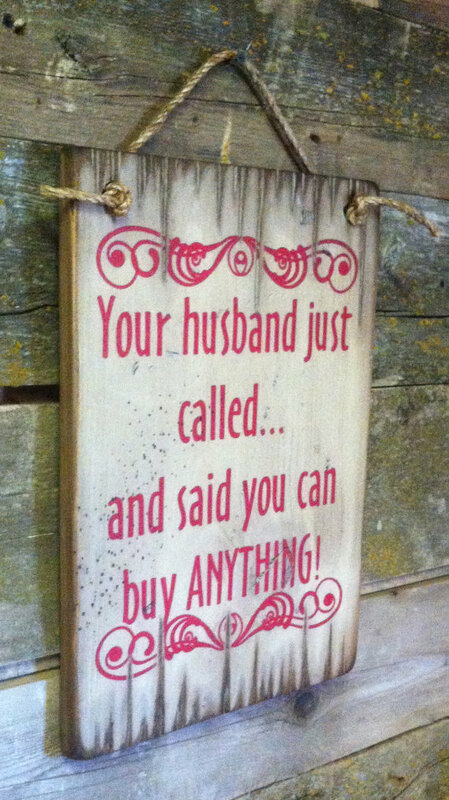 About Your Husband Just Called and Said You Can Buy ANYTHING!